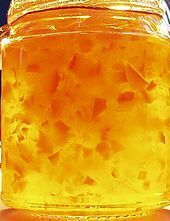 Sweet orange originated in ancient China and the earliest mention of the sweet orange was in Chinese literature in 314 BC. 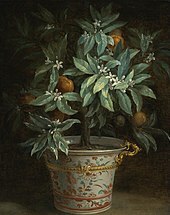 As of 1987[update], orange trees were found to be the most cultivated fruit tree in the world. 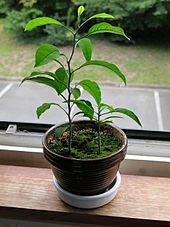 Orange trees are widely grown in tropical and subtropical climates for their sweet fruit. 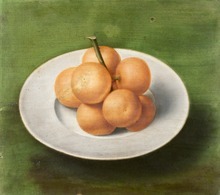 The fruit of the orange tree can be eaten fresh, or processed for its juice or fragrant peel. 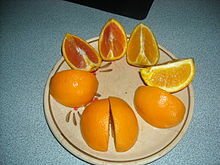 As of 2012[update], sweet oranges accounted for approximately 70% of citrus production. 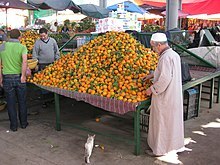 Trees from groves in hammocks or areas covered with pine forest are budded on sour orange trees, a method that gives a high solids content. 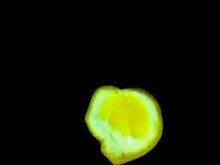 On sand, they are grafted on rough lemon rootstock. 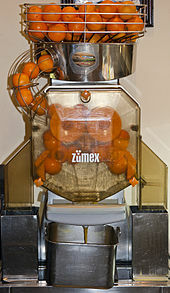 The Hamlin orange is one of the most popular juice oranges in Florida and replaces the Parson Brown variety as the principal early-season juice orange. 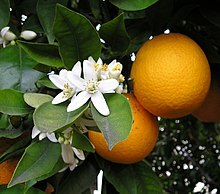 This cultivar is now[needs update] the leading early orange in Florida and, possibly, in the rest of the world. ^ a b c d Willard Hodgson (1967–1989) . 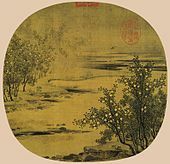 "4". In Webber, Herbert John; rev Walter Reuther and Harry W. Lawton. 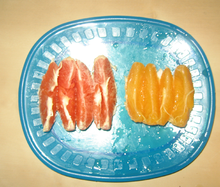 The Citrus Industry, Horticultural Varieties of Citrus. Riverside, California: University of California Division of Agricultural Sciences. 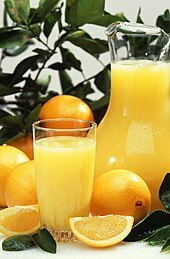 Archived from the original on 2012-02-05.